Let me fix your problem website or design a new professional site that gets found! My mission is to help local businesses become successful while also building my own freelance business. For 20 years I worked for corporate America on a brand e-commerce website that had millions of visitors per month. I was a web producer, blogger, social media, content marketing and SEO manager. Phew! No wonder I got burned out! If you are looking to grow your business and are willing to trust my vast experience in online marketing to get you there then we’ll make a great team. I have all the qualifications to make a professional website that gets found in Google, Yahoo and Bing. Plus I am Google Analytics Certified so I can create lots of great reports for you. 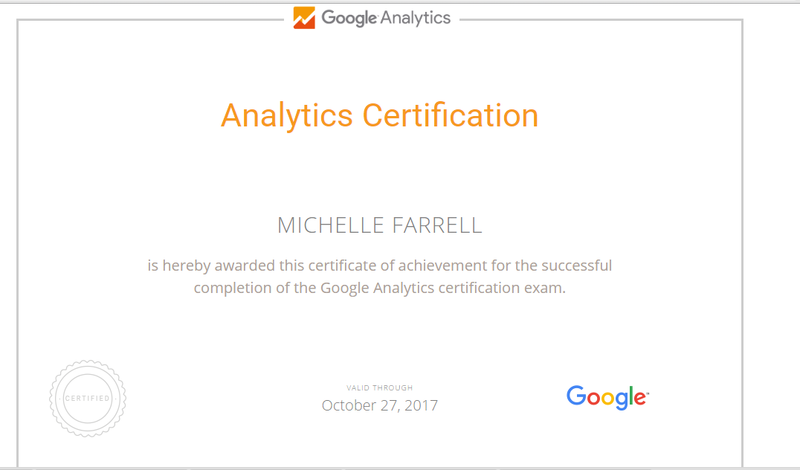 I am Google Analytics Certified until October 2017. I am currently a candidate for OMCP Certification (Online Marketing Certified Professional). It’s the industry’s premier certification for online marketing professionals who have extensive training, verified experience, and have demonstrated knowledge of online marketing concepts and best practices across multiple digital marketing discipline. I recently completed a Seth Godin (marketing guru) class on Freelancing, so I can help promote myself and my freelance clients. I stay current in all aspects of online marketing best practices by following all the industy leaders and by attending conferences SMX West in San Jose, SMX Advanced in Seattle and Conversion Conference in Chicago 2014. I love Banksy! This print over my desk reminds me to count my blessings and to appreciate life. I am upfront, honest, authentic – what you see is what you get – if you’re looking for someone to stroke your ego then I’m probably not a good fit. I’ve worked with many small business owners that have very little business knowledge and have no idea how websites and digital marketing work. Many times I am called in to fix their website because they hired “someone” to make a website for them and then wondered why they don’t get any visitors to their website. This saddens me, there are many designers that can make a site for you that looks pretty but they don’t know how to get you traffic. It’s worth paying extra to do it right in the first place so that you build a successful business. Why did I call this site I Ain’t Your Momma? I love to share my knowledge and guide you, but I cannot hold your hand every step of the way. As a business owner you have to take charge of your brand, know your business inside and out, and also know your target audience. Together, as a team, we can build a great website. I’m English and have lived in the Santa Monica for more than 20 years. Check out Michelle Farrell Linkedin profile to see my resume and reviews from my peers and follow me on Pinterest and Instagram and more! Friends, family and colleagues tell me that I am the go-to person for all things web and Santa Monica related. 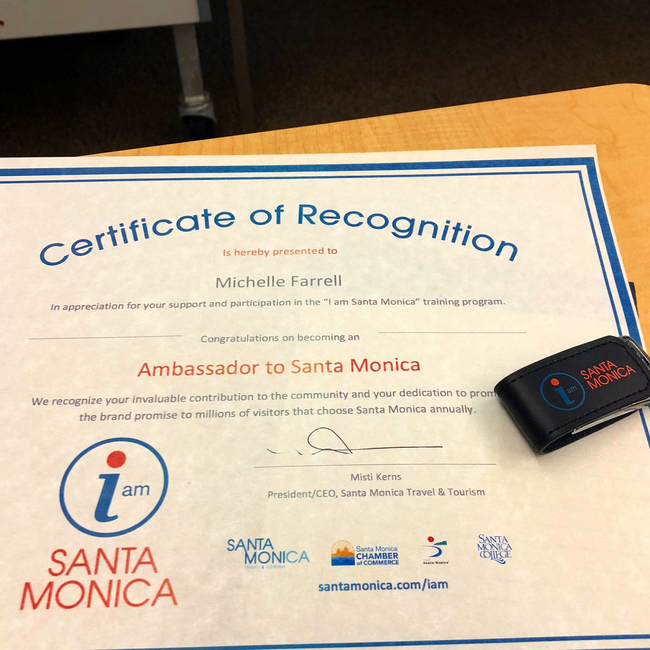 Below is my Ambassador of Santa Monica Certificate from SantaMonica.com So I decided to impart some of my knowledge on this website while also building a freelance business. 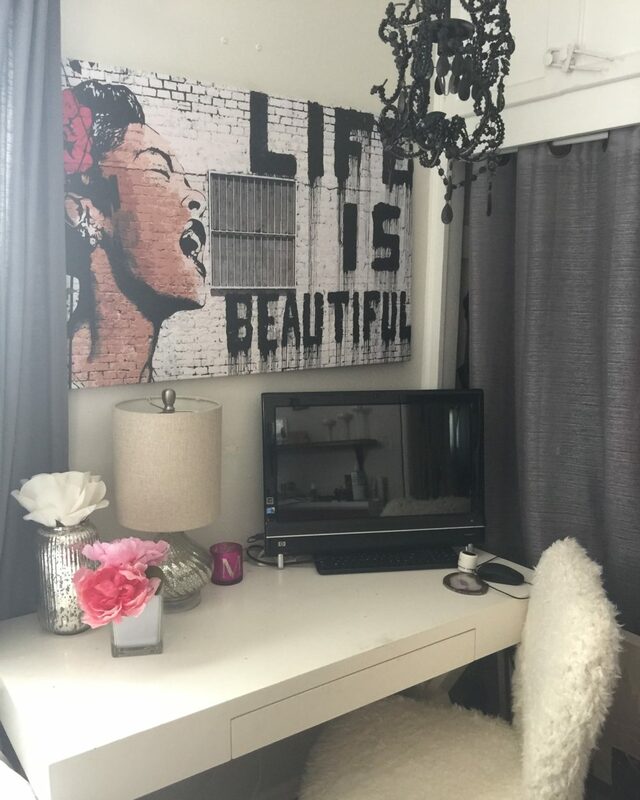 I am creative and love interior design. I consider myself a foodie, I love to cook and eat out and have recently been taking cooking classes at the Gourmandise School in Santa Monica. I grow my own herbs, tomatoes, lemons and I just bought a fig and an olive plant. I love to shop local and organic and I’m a regular at the local farmers markets. I have two teenage sons and a rescue dog. September 18, 2017 – I Ain’t Your Momma was featured in Voyage LA Magazine click image to read the article.